We come to you! Top quality veterinary care at your doorstep. Mobile service is 24 hours/day, 7 days/week. Give us a call! We Pick Up & Deliver Your Pet For You! 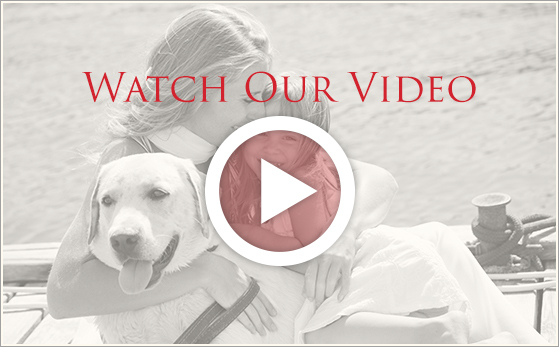 911 VETS® comes to you for routine and emergency veterinary services. We handle everything from routine check ups, diagnostics, ultrasound, treatments, hospice care, as well as gentle home euthanasia and aftercare. Emergency services available 24/7. 911 VETS® has responded to hundreds of emergency housecalls since its inception. 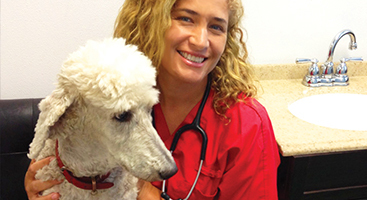 In several cases an emergency housecall veterinarian is the pet's only hope. We have stabilized and transported many pets in dire need of on-site assistance. After eight wonderful years, our National Blvd. clinic is moving to a new location to better serve you. Until then we have an arrangement with a local clinic to handle anything we are unable to do at your home, such as x-rays, dental and major surgeries. We continue to provide safe concierge pick up and return home for these services. Check back for updates on our new location. Dr. Steve Weinberg, founder and CEO has worked in hundreds of veterinary clinics as a full-time, part-time and relief veterinarian in California since 1985 and as a housecall veterinarian has treated pets in thousands of homes in California since 1988 even offering 24 hour vet services. 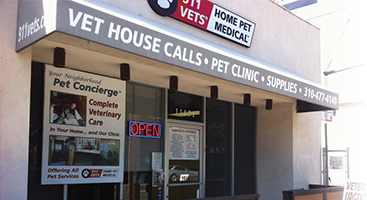 After building a housecall practice in San Francisco, he decided to head back home to Los Angeles and start a mobile vet service here. Through experience working with pet owners in the comfort of their own homes he has learned the kindest and most gentle approach to pets in their own familiar environment. 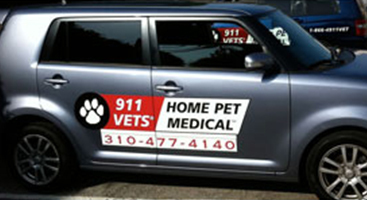 911 VETS® HOME PET MEDICAL: Comprehensive out-of hospital pet medical services. We Accept Care Credit! Apply Now!